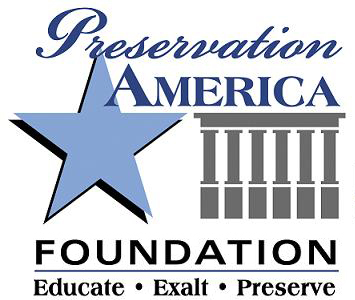 Preservation America aspires to develop Glen Mary Plantation as a destination site for the advancement of education in collaboration with university, community and government resources. Glen Mary Plantation integrates an external learning resource with practical learning opportunities. We propose to offer new holistic learning methodologies that are informal, collaborative and personal. Innovative programming that orbits Glen Mary will be offered across inter-disciplinary fields, many in areas of study not heretofore thoroughly investigated. Activities designed to stimulate, motivate and engage include “hands-on” active involvement, research of tangible real life data, colleague dialogue and brainstorming. Nationally circulated published material will gain students, faculty and Academy for Southern Arts and Sciences renown and importance. Glen Mary encompasses a unique and rare setting of 43 relatively isolated acres, which are remarkably still rural and unchanged. Glen Mary’s unspoiled landscape, an intricate tapestry of scenic, historic, cultural, and ecological resources, collectively bespeaks its heritage. The cultural features of Glen Mary’s historic structures, gardens, open fields and pine forests define the “sense of place” of an antebellum Southern plantation, giving Glen Mary a strong identity and character that is deeply felt. The many facets of Glen Mary invite a world of exploration, as very little scholarly work has been done so far. Study programs would be based on material culture that investigates Glen Mary; its antebellum plantation landscape, farm and gardens, its aristocratic southern planter class home designed as a classical temple, as well as the remarkable personal and cultural histories that orbit Glen Mary, which all depict an extraordinary unity. Curricula in Historic Archaeology and Historic Preservation would assure Glen Mary’s integrity and survival.